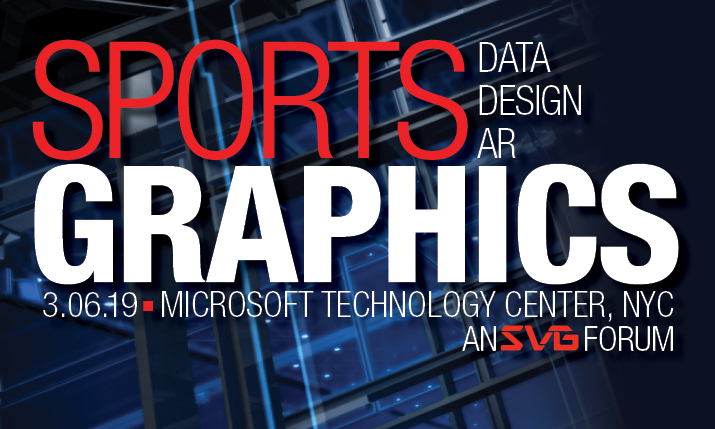 The Sports Video Group will hold the fifth-annual SVG Sports Graphics Forum on March 6 at the Microsoft Technology Center in New York City. After record attendance and a star-studded program in 2018, SVG will continue to expand the Sports Graphics Forum with a full day of sessions this year addressing the latest technological advances and creative achievements in broadcast graphics. In addition to addressing creative workflows and spotlighting the most intriguing sports-graphics projects from the past year, this year’s program will feature a Data Visualization Workshop focused on augmented reality, player-tracking and more. Stay tuned to the SVG Sports Graphics Forum event page for more information regarding registration, sponsorship opportunities, and the full program in the coming weeks.